The gain or loss in an investment over a specified time, with respect to the amount of initial investment. It is generally given in percentage. Future Value (FV) is the value of an asset or cash at specified point of time in future. This can be derived from the Present Value of the cash or an asset. Life is mainly a substance of expectation. Do we really live or are we forever in the expectation of living? It is said that “Expectation is the mother of all frustration”. 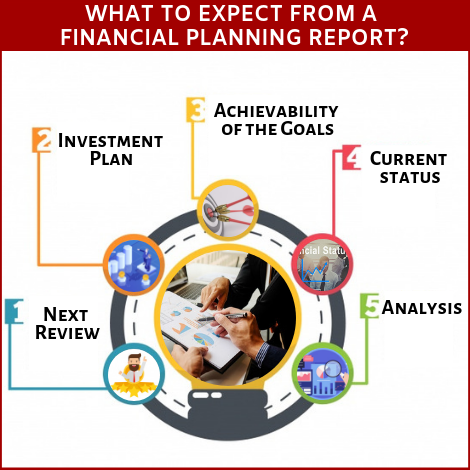 What you are expecting in a financial planning report and what your financial planner offers in his report should match. If it is not matching, then it may lead to frustration. To have a long lasting relationship with your financial planner, what you expect from the financial planning report is more important. Let us discuss that in detail here. You can clarify your expectation and start having an acceptable expectation. This section deals with the current financial status of the individual and his family. The information what you have given in the financial planning questionnaire / factfinder will be re-arranged in a tabular column for easy reference. This will contain the details like income, expenses, structured liabilities with EMI, unstructured liabilities, list of fixed assets and financial assets. Net worth is generally calculated by deducting your liabilities from your assets. Generally self occupied house is not considered as an asset. This net worth statement tells you what your current net worth is. This net worth statement an individual is similar to the balance sheet of a company. Every year when you are reviewing your financial plan, you can check how year after year your net worth is getting increased. The list of financial goals with its expected present value will be mentioned. Also the financial planner will project the present value of the goals and will find out the approximate future value of the goals. ‘Do you need to take loans to achieve any of the goals?’ will be mentioned separately in this section. The financial planner checks, with your current savings and future savings potential, are it possible to achieve all your financial goals or not. Buying property worth 70 lakhs instead of 80 lakhs. Inflation rate needs to be assumed for the coming years. •	What is the pre-retirement inflation? •	What will be the post retirement inflation? •	What are all the different rates of inflation for different financial goals? All these inflation assumptions will be explained in this section. To meet your goals, with your current savings and future savings potential, what is the rate of return required? In addition to finding out this rate of return the financial planner will also find out what is the required asset allocation to achieve this rate of return. Therefore, this section deals with how much allocation you need to make different asset classes like equity, debt and gold. Additional life insurance & health insurance cover required will be mentioned. Also the need for property insurance will be shown. 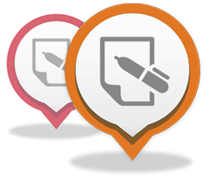 This section additionally covers the amount of emergency reserve needs to be created. The financial planner makes suggestions for restructuring your existing investments in sync with the financial plan and goals. ‘What are all the investments to be withdrawn? Where the subsequent investments to be stopped?’ will be answered here.Financial planner will do this portfolio revamp based on the 2 parameters. He will filter schemes which are all not supporting your financial plan and goals and the schemes which are all not performing. He will ask you to withdraw these schemes and suggest you to reinvest in better schemes. Cash flow statement explains what your total income is and how that income is utilised towards expenses, loan repayment and investments. 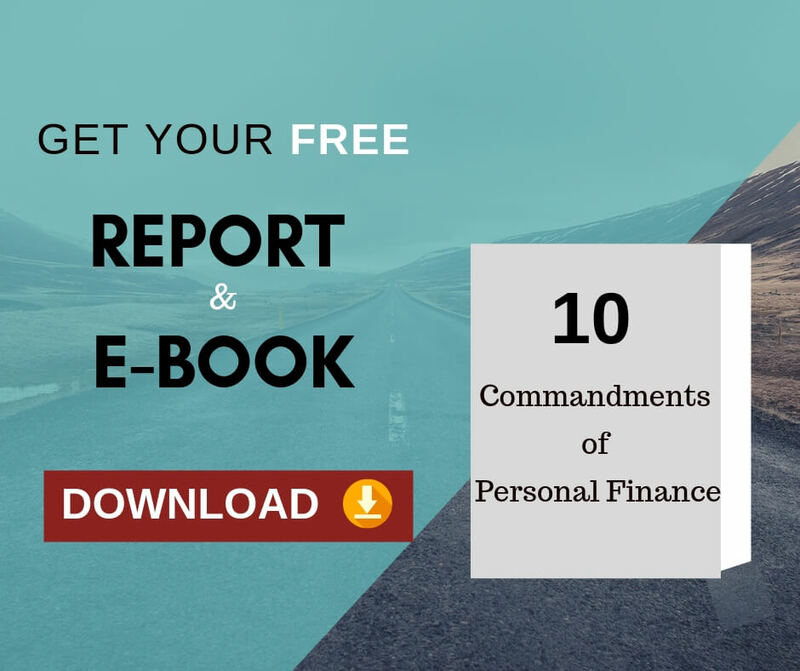 This section covers, ‘Where the savings from the current year income needs to be invested to meet the short term financial goals as well as long term financial goals?’ and “What are all the tax saving investments to be made to reduce the tax liability ?”. When is the next financial plan review scheduled? Generally it will be at the end of 6 months from the date of your initial report. Having only the partial knowledge leads to assumption. Assumption leads to undue expectation.If you get perfect acquaintance, that would change expectation into certainty. Hope the above points clarify what to expect from a financial planning report.